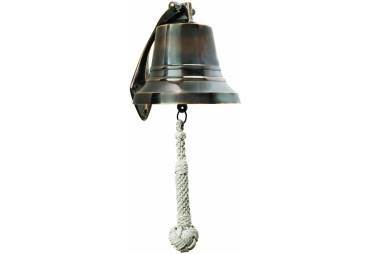 Dimensions: Bell Dep. 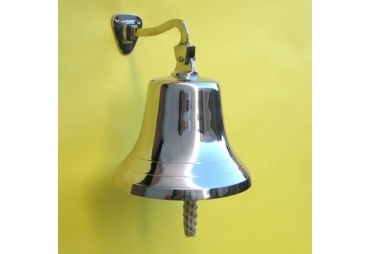 8 ½” Wid. 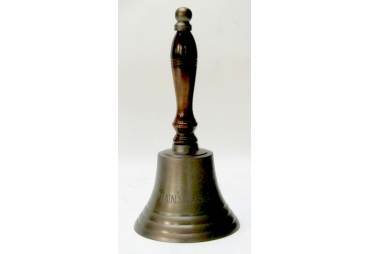 7 “Ht. 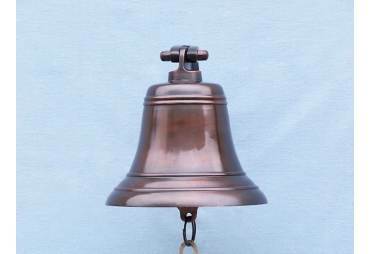 6 ½”Plaque 12"x15"
Bought this bell as a gift for my father retirement, very good quality bell. 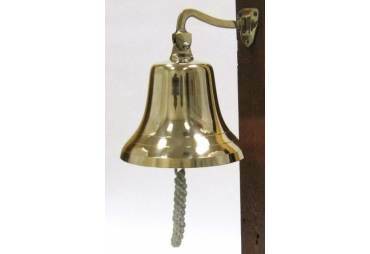 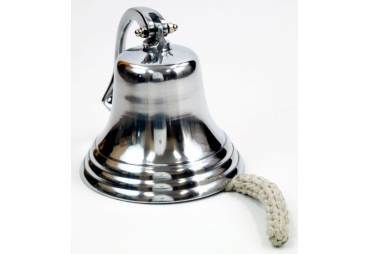 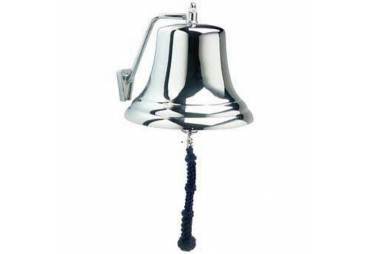 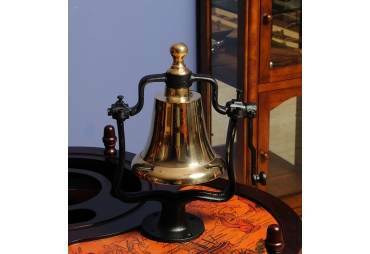 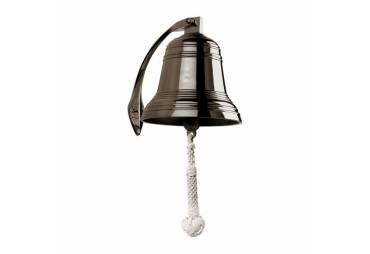 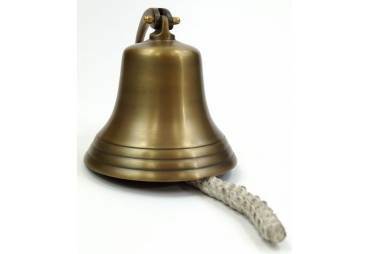 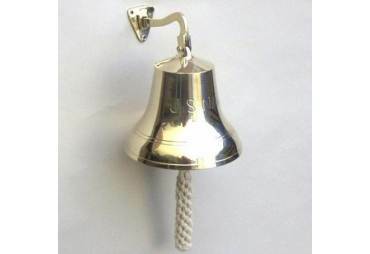 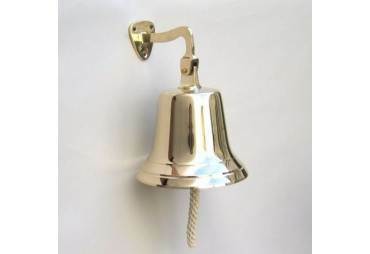 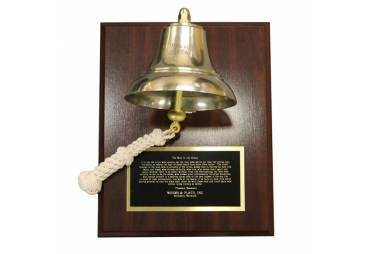 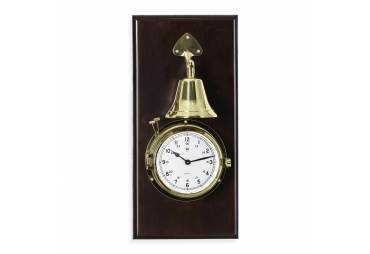 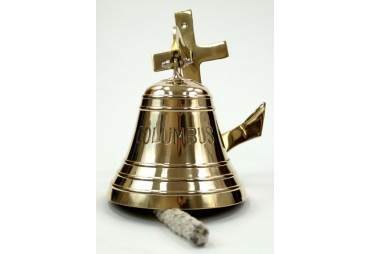 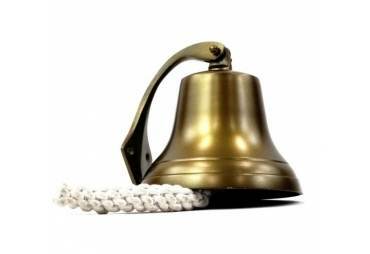 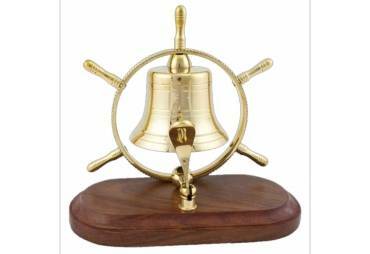 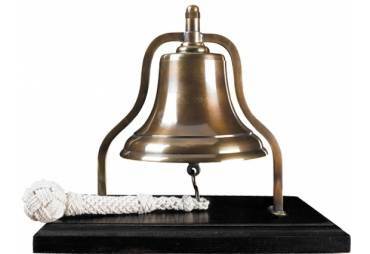 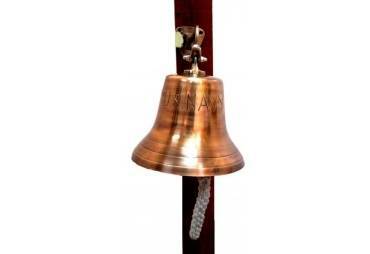 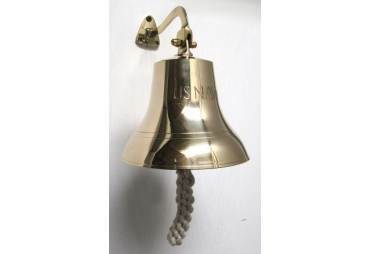 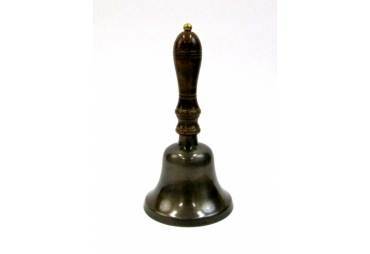 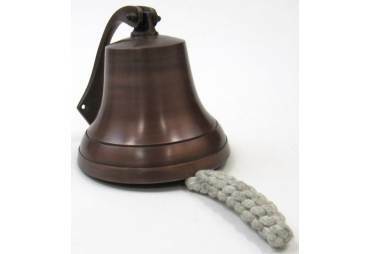 This 7 inch Brass Bell creates a lasting impression. 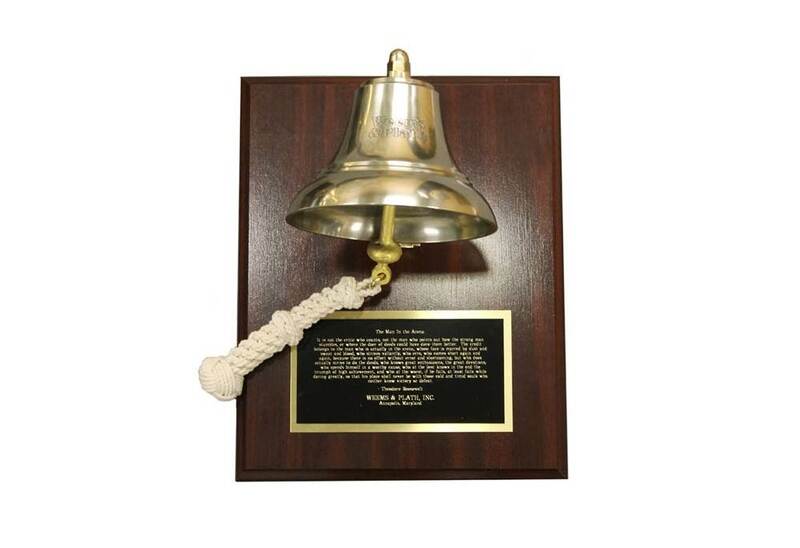 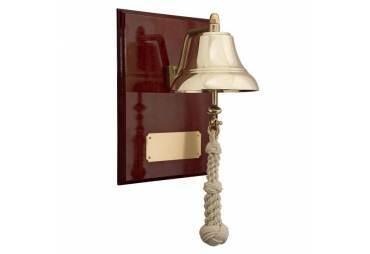 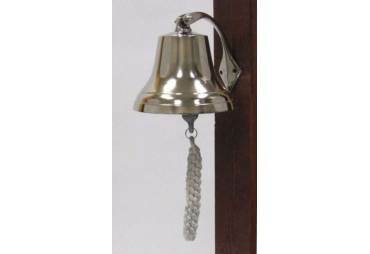 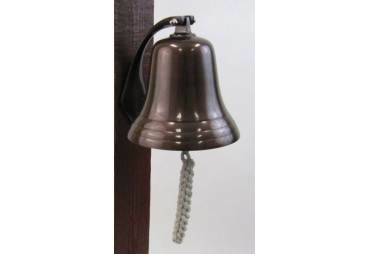 Mounted on a high gloss mahogany finish presentation plaque, this authentic bell resonates with a rich tone when struck. 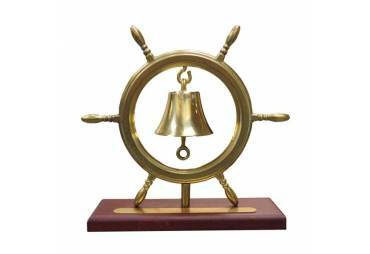 The white hand-tied monkey fist lanyard lends a distinctive nautical flair to this award. 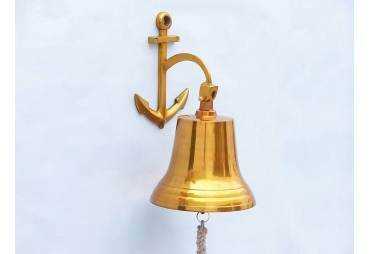 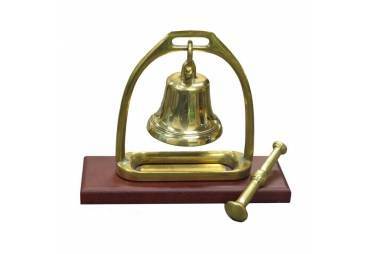 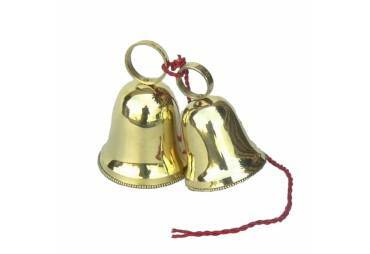 Company logos or special insignia can be stamped directly onto these authentic solid brass bells if the factory order minimum is fulfilled.